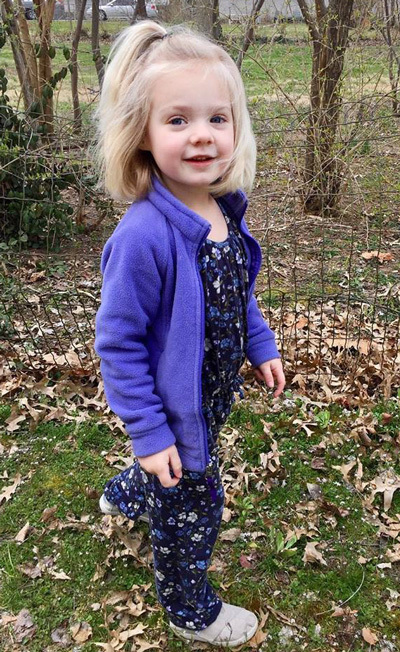 Joni Beth Waldroup witnessed her youngest daughter, Rosie, suffer a significant decline in health after she received typical childhood vaccines, and then a more dramatic decline after a flu shot. Rosie would later be diagnosed with autism. On March 5th, 2019 Joni posted to her social media the pain of needing to defend her decision not to vaccinate which we share below, and then we have a Q&A with her where she gives more details about the vaccine/autism connection in her daughter. 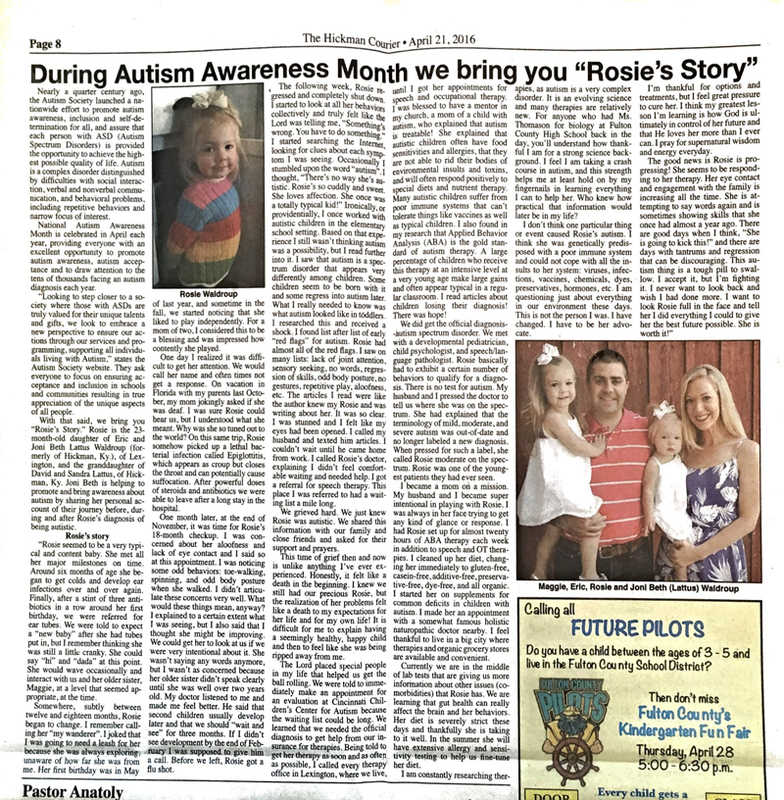 Joni’s daughter’s autism story was originally published in April 2016 by her local paper when Rosie was 23 months old during Autism Awareness Month and that is also included in this story at the end. Joni’s March 5, 2019 FaceBook post: I see your cartoons and your posts about people who are questioning vaccines. I was you, just a little over 3 years ago. I saw it as a black and white issue with no room for debate. I thought ugly thoughts and said my opinion plainly. I thought I had read the science, which of course was me reading abstracts of a handful of industry-funded, cherry-picked studies that did not contain true inert placebos. I read the CNN articles. I looked at the CDC website. I knew what the WHO was. There was absolutely no possible way in my mind that getting vaccines involved risks that really needed to be considered. Rosie was due for a booster shot at that appointment and even my super mainstream doctor agreed we should pause her vaccinations. I decided to go home and do my research and make sure I felt confident continuing on the recommended schedule. I then began to slowly eat humble pie. If you would like to grab of a cup of coffee with me one day, I would spell out what my journey of discovery has been like—how it was retrospectively quite obvious that Rosie was negatively impacted after at least 2 and maybe 3 sets of her vaccinations. When your child is regressing, it’s difficult to know what you are looking at in the moment. Who would ever be expectantly watching for their child to lose skills?? You just one day realize that your child can’t do something anymore. I wasn’t looking for something to blame. The evidence was undeniable. 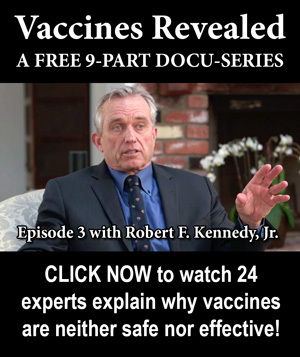 I would not tell you what to do, but I would share the broader scope of the suppressed science that is available regarding vaccines (and the lack thereof). 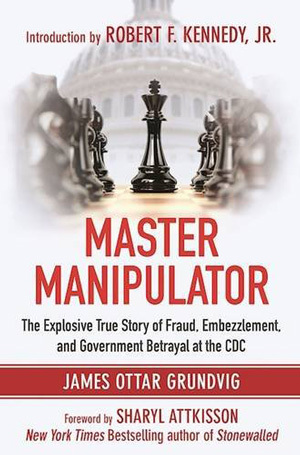 I would inform you of the unbelievable level of corruption involved in our government agencies (Did you know that the CDC owns vaccine patents?). 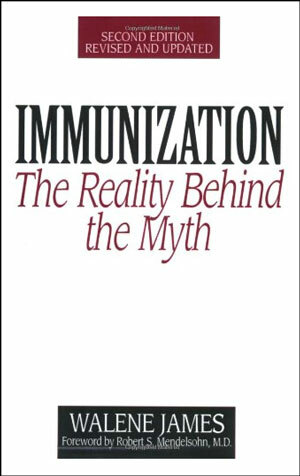 I would point to the latest research involving how exactly it’s been proven that there is a mechanism whereby vaccines create immune activation events (really their whole purpose) and that some cases (How many? We don’t know yet!) of autism can be triggered by immune activation events in the brain. 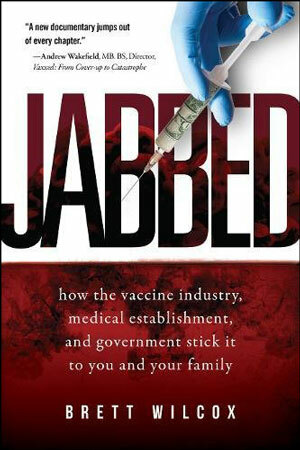 Did you know that families have been compensated in vaccine court for vaccine injuries that resulted in autism? 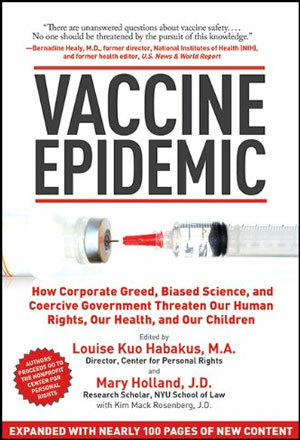 Did you know that in 1986 vaccine manufacturers were falling apart due to lawsuits for injury and the government acted to take away your right to sue the pharmaceutical companies directly? You have to petition the government for compensation (funded by a tax you pay on every vaccine), in a process where Department of Justice attorneys rake families over the coals. Did you know that a lawsuit has been won against Health and Human Services, finding that the HHS failed to conduct ANY of the biannual vaccine safety reports required by this same act? Did you know that the vaccine schedule has exploded to 72 recommended doses by the age of 18? There’s no liability, so of course the schedule exploded. I had no idea. To say the science is settled is ridiculous. Nothing is settled in science, especially when the number of doses of vaccines is continually increasing. Autism rates are now shown to be as high as 1 in 36. Don’t tell me vaccines can’t trigger autism or regression without telling me what does. Genetics can only account for a predisposition and a tiny subset of autism. Our family is currently part of a huge autism genetics study and they continue to come up empty. What a waste! Your autism, or your child’s autism may not have been caused or triggered by vaccines, but it’s unfair to whitewash countless people’s experiences of regression, side effects, and even death. It’s happening at frightening numbers, and you probably don’t know about it because mothers are scared to share these stories to a hateful public. And I will share with you that we don’t all blame one vaccine. 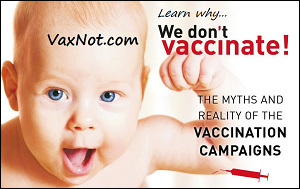 How could we, when our children usually receive multiple vaccinations at once? I will remind you that only one vaccine has been studied in relation to autism: MMR. The “definitive” study on it was called out by a whistleblower for an illegal manipulation of data. Just today, an INDUSTRY-FUNDED study was released out of Denmark, which didn’t even have a true representation of the current autism rates in the study sample. It’s garbage, but you see the headline and you feel relieved, right? 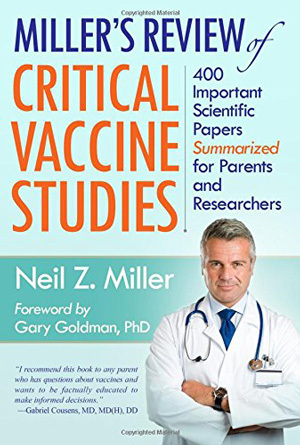 I’ll also share with you that this long term study was released in a timely manner on the night before a senate hearing on vaccines with the potential to make philosophical/religious vaccine exemptions burdensome or taken away altogether. Let me make this clear for you: The federal government is tossing around the idea of mandating medical procedures (vaccines) that are poorly studied and produced by manufacturers that have zero liability. Are you okay with the government mandating that I have Rosie continue to get vaccinations, given her history? Medical exemptions are not easy to come by if you are thinking she should be covered with that. Should she be sacrificed for what you may believe is the greater good? Should the government be allowed to make such mandates? Is this communist China? 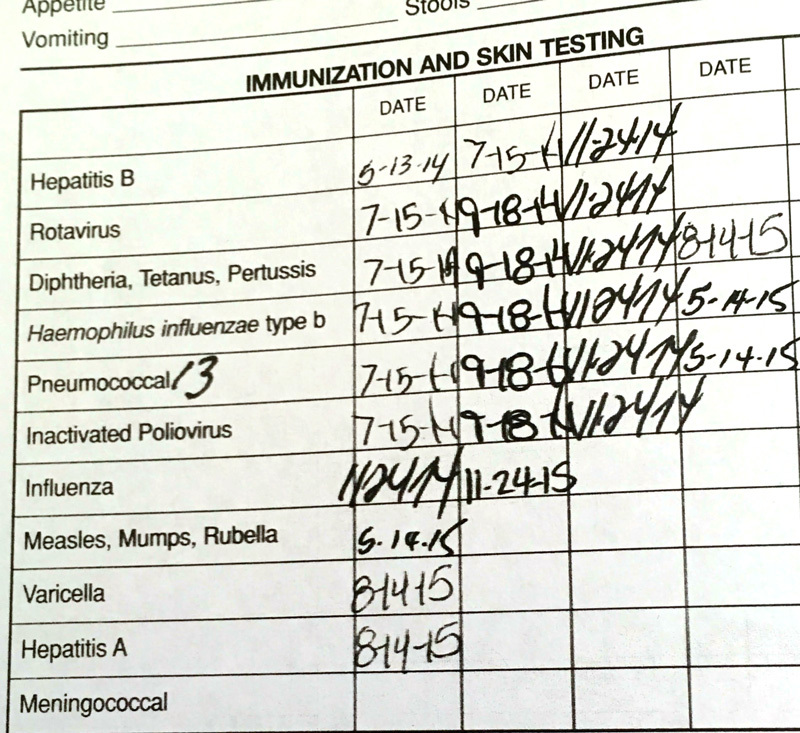 You ask…what about herd immunity? In terms of the hot-button measles, the scientific community used to believe one shot provided lifelong immunity. Then they realized some people didn’t even develop antibodies, so a booster was added to “clean up” the ones that didn’t have a good uptake the first time. Now they know that immunity wanes over time. When was your last booster? If you didn’t have a natural case of the measles, it is very likely that you, yourself, are no longer immune and not contributing to the “herd”. Are your children’s teachers up to date? The custodians? The cafeteria workers? The visiting parents? Again, likely no. But you can’t transmit what you don’t have, so we’re doing okay. People seem to think the unvaccinated are in some way harboring communicable diseases all the time. 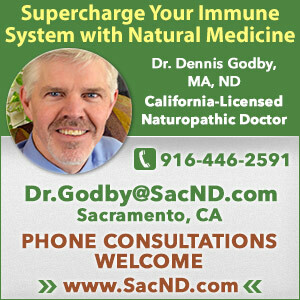 Herd immunity is also based on research of how natural immunity can work. Vaccine-derived herd immunity is wishful thinking. The pharma-bought media want you to believe that I get all my information from Google and social media. I have read more than my fair share of books, there are many Pubmed articles online, and Google Scholar is fairly adequate for me to have access to studies. Would you respect my opinion more if I trekked over to the medical library and read the same things there? As for social media—thank God for a platform that allows families with stories like ours to find each other. Coming back to your posts—your flippant posting of cartoons and bullying of people who question vaccines is hurtful to families of vaccine injured children. You are entitled to post or say what you want of course, but you need to know that thousands of families grieve what they saw happen to their babies. The pharma-bought media stabs us, and your posts feel like a twisting of the knife. I’m not mad. How could you know about all of this as you’re given the mainstream mantra of “vaccines are safe and effective”? I know you probably didn’t mean to hurt feelings and that you fear for your own children and the possibility of them contracting an illness. IT’S UNFAIR THAT WELL-MEANING PARENTS ARE BEING PITTED AGAINST WELL-MEANING PARENTS. 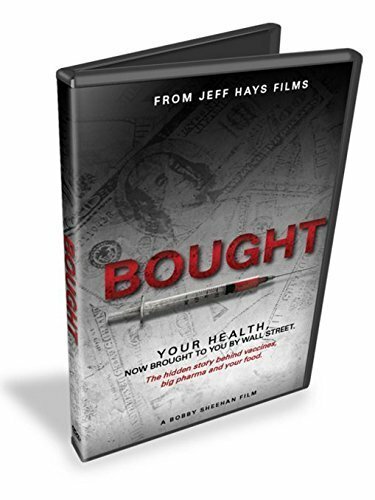 We need to know the true benefit/risk ratio of all things we may choose to inject in our bodies so we can make conscientious decisions. We don’t have enough information. It’s a fair question to ask: Are we trading short-term illnesses (in whatever severity that may be) for chronic long-term neurological disorders (and possibly so many other ailments). Please don’t ask me on Facebook to provide all the science it’s taken me literally 3 years to sift through. I will not enter a “here’s my study”, “I don’t like your study” war. If you are genuinely curious, and I hope you are, I recommend J.B. Handley’s book: “How to End the Autism Epidemic” as a starting point. I ask you to read beyond study abstracts and CNN headlines. I don’t mean to be arrogant in my beliefs. I don’t have all the answers. I just know that the Lord wouldn’t let me rest in silence. Q: What originally inspired your FaceBook post, “I see your cartoons and posts about people who are questioning vaccines”? Was this directed towards the general contentious vibe on social media on attacking those who question vaccines? Or someone specific? Joni: I was not targeting any one particular individual. I, like so many of my friends who have had our similar experience, have felt that there has been a huge and hurtful uptick in the posting of memes, cartoons, and biased news articles about people who question vaccines. It seems largely in response to the media’s exaggerated publicity of measles cases and the recent big push in legislative efforts to abolish exemptions. I’ve seen some vaccine posts through the years, but it has recently taken on a more sinister element, where vaccine hesitant people are considered ignorant, reckless, infectious, and dangerous. I identified with how many people felt, as I once believed the repeated lines of vaccines are “safe and effective” and that any associations with problems have been “debunked”. I kept thinking, “How will they ever know the truth unless someone tells them? They are not allowed to see the whole picture! Not enough people are speaking up!” Time and time again, I kept seeing friends that were afraid to be vulnerable and share their story with the public for fear of hostile scrutiny. I totally understood that. People can be mean and very close-minded about this. Often, I would privately draft responses to people’s ugly posts almost as a therapeutic outlet. I knew targeting someone directly or slinging insults was never going to be effective in getting the truth out there. I wanted to be strategic and humble in earning a hearing so my voice was not just white noise. I wrote out this post and sat on it for 2 weeks, praying over it and what I should do. The Lord would not let me rest until I posted it. It turns out the timing was perfect, as I was able to address the Senate hearing regarding the measles and the Danish MMR study that was released that day. People listened! Q: What are your main reasons to share Rosie’s story? To raise awareness, educate others, etc? Joni: I felt I had to share because people didn’t seem to know that it is possible for children to be hurt by vaccines and that it’s happening on a large scale. I shared Rosie’s story to help people make more informed decisions regarding vaccines for their own children. I pray that it makes people pause and realize there is a lot to consider and that the risks are real. I also knew that even though a lot of my friends would consider themselves pro-vaccination, they would probably not agree with forced, liability-free medical procedures for everyone when they really thought about it. Q: Can you describe Rosie in her recovery now? How old is she? Rosie is 4, almost 5 years old (on May 13th, 2019). Literally, today was the first time I have ever heard her clearly say “Mommy” since her regression. Rosie has made many gains, but the process has been a slow and grinding one. She has hypotonia (low muscle tone), is non-verbal, and is considered to have moderate-severe autism. 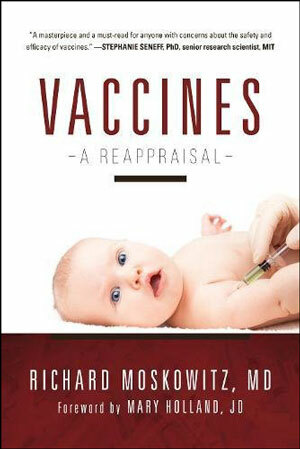 Q: What, if any, adverse reactions did you notice, post vaccination? You mentioned the physical/mental regression, but I am wondering if she was given Tylenol for a fever, or if she had any rashes, etc. or other symptoms after any of her vaccine visits that would indicate something was off? 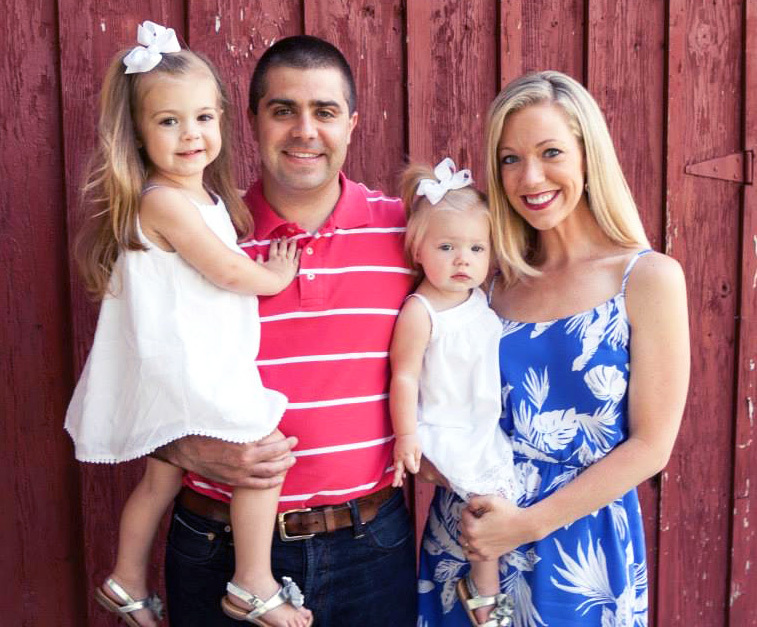 Jonie: After looking back, I realized she began to develop ear infections almost immediately after her 6 month vaccinations. The 12 month vaccinations were in the middle of a series of antibiotics that we were to try before going on to get her surgery for ear tubes. I am positive we were giving Tylenol and ibuprofen regularly to help her with the pain, but I don’t remember giving Tylenol specifically on the day of her vaccinations. (I had no idea at the time that that would be problematic.) My memory is getting fuzzy. I don’t remember an immediate reaction then. 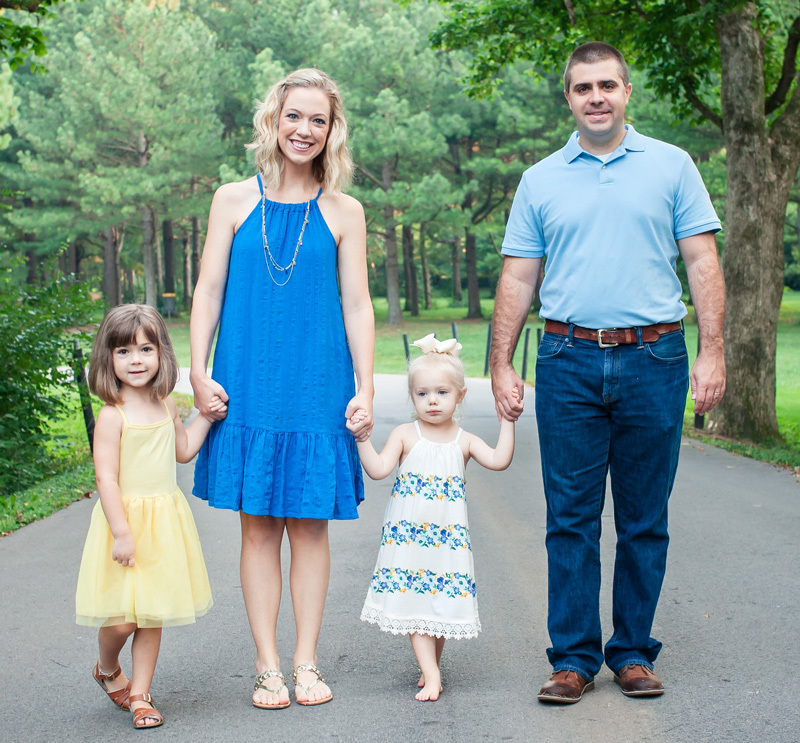 Less than a month after the 12 month shots, we had family pictures and I remember thinking that it was harder to get Rosie to look at the camera than it should have been. She was beginning to go into her own world and be cranky for seemingly no reason. We were told she would be a “new kid” after ear tubes, and it just didn’t work to help her temperament. The flu shot at 18 months was a dramatic “push” into autism. She was having problems, but we have videos of her looking at us and laughing over Thanksgiving. That following Monday she had the flu shot and by Thursday she was spinning, putting herself in a corner, and clapping a baby doll’s hands over and over, and literally just could not look us in the face. I would hold her up to my face and she was avoid eye contact as if it physically hurt her to do so. That was new and alerted my momma instincts that something was wrong. Q: What vaccines has Rosie had to date? When did you stop vaccinating her? Sounds like you had a supportive doctor in delaying/stopping vaccines. Do you still see this doctor? 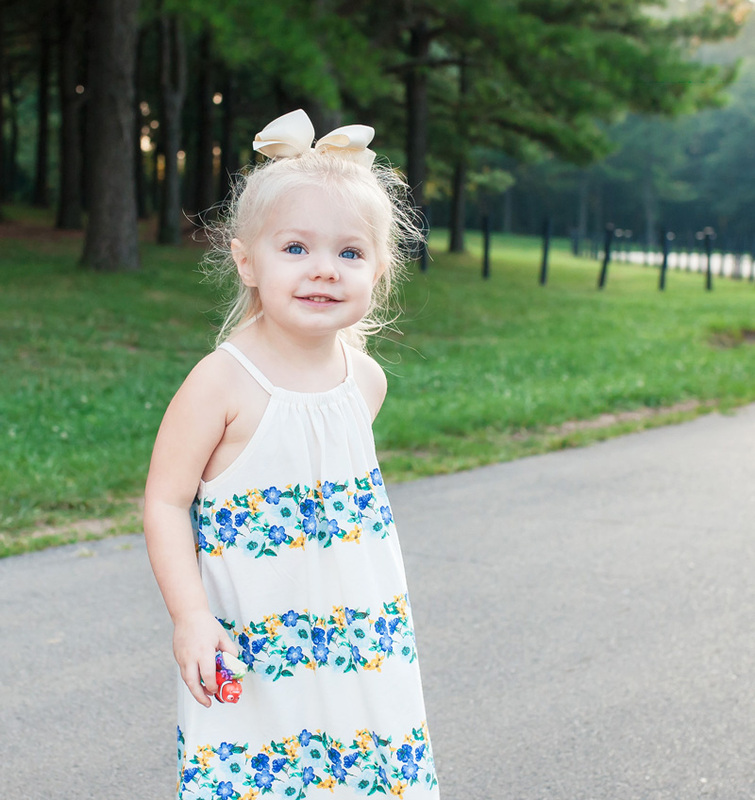 Joni: We stopped vaccinating Rosie after her 18 month check up, where she received the flu shot and had a dramatic further regression within days of receiving it. Our pediatrician at the time was kind and allowed me to have hesitations and pause vaccinations at her following appointment. I was unsure how long he would let me hesitate as the practice he was part of traditionally kicked out patients for not vaccinating. I also had my older daughter, Maggie, to consider. She was soon due for a multitude of vaccinations. 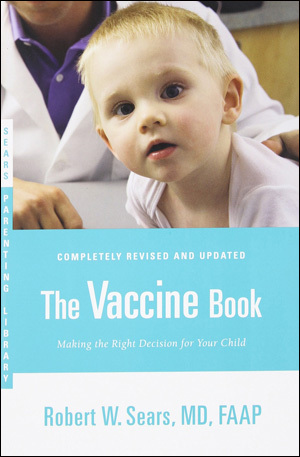 I was only considering neurological problems associated with vaccines, but as I read more, I felt uncomfortable with her receiving any more shots. They had agreed to space out her shots due for school to a “1 every 6 months” schedule, but after receiving the first one, we left and never returned to that same practice. In summary, they were kind to us as we hesitated, but I’m sure that declining further vaccinations would have been a problem. We found a new practitioner who would allow us to remain a patient while declining any further vaccinations for both of my daughters. Q: What is your approach to health/wellness now? Joni: This has rocked my world. I now question everything—what I drink, eat, breathe, put on my body, etc. Rosie receives behavioral therapy, but we treat her biomedically, believing that many of her symptoms of autism stem from medical issues within her whole body. We work with an integrative doctor to help ease the underlying issues that create problems for her. It is evident that her immune and gastrointestinal systems struggle and we do a lot to make her world as pure as we can to set her up for success. I’ve learned that the way the body is created is amazing and incredible, but not impervious. We cannot put garbage in our bodies without paying some sort of price. Q: What healing and recovery methods, etc. have made the most impact on Rosie’s health? Joni: Changing and cleaning up Rosie’s diet in the beginning helped relieve her of a chronic runny nose and bright red cheeks that were signaling some kind of allergy response. That was motivation to stick with a diet that is gluten, casein, and soy free. Supplements such as cod liver oil and GABA have seemed to help improve Rosie’s temperament. We have tried many protocols to detox her from her vaccines. We are currently chelating to remove heavy metals from her body that we believe are there at least in part, from her vaccinations. We have traveled to the Stem Cell Institute in Panama City, Panama twice for infusions of donated umbilical cord stem cells from live births. 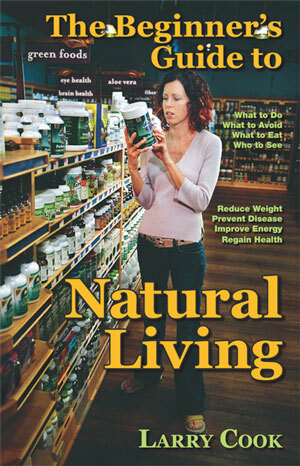 This has helped to reduce inflammation in her body. After treatment, her bloated belly went flat, chronic eczema patches disappeared, and her temperament improved. She is currently having 40 hours each week of Applied Behavior Analysis therapy and has just really become “teachable” in the past year. We are beginning to hear her repeat some words! Q: What advice do you have for other parents in a similar situation? And for new parents? For doctors and the healthcare community? Joni: This journey is difficult. It is made much more difficult when people don’t believe you and write you off as dramatic and looking for something to blame, but you have to lose your pride and rise above it. People may never know the scope of damage being done if we remain silent. Every person has a different kind of voice and audience. I pray that parents allow the Lord to lead them to be brave and advocate for their child, so that someone will not have to have our same story and learn this lesson the hard way. Educate yourself and share, but let’s be kind and have grace for those who are hearing this new information. I would also say: there is so much hope! We are just at the frontier of therapies and treatments for autism. I have such high hopes for my Rosie and am confident she is going to make incredible gains in development. New parents should work hard to educate themselves. They should look at the vaccine inserts, really think about all the ingredients found in vaccines, evaluate each vaccine on its own, and consider the true benefit/risk ratio of receiving it. They should open their minds and consider vaccine history and the millions of parents saying they saw their babies regress with vaccines. They should consider that the vaccine industry is a business with a liability-free product. 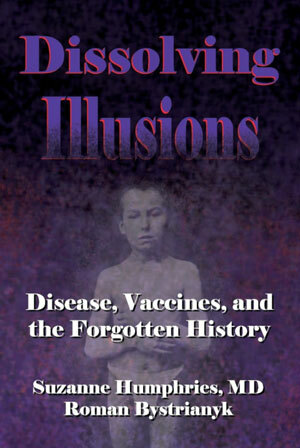 I would recommend reading Dr. Suzanne Humphries’ books: “Dissolving Illusions” and “Rising from the Dead”. For doctors and the healthcare community—I just ask that you look around and see the state of health of the children around you, and how that looks so different from the state of children years ago. 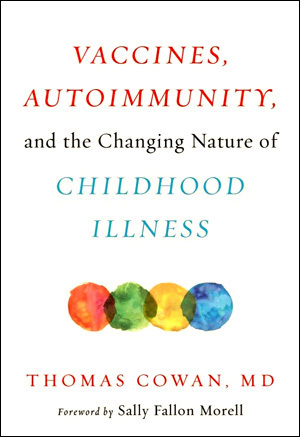 We’ve made so many advances, but chronic health problems and autoimmunity are skyrocketing. Something is triggering problems in this generation of children. I question everything, but isn’t it possible that a vaccine program that has exploded alongside these trends in epidemics could be part of the problem? We should be able to question it when there are no legitimate, double-blind, inert placebo-controlled studies proving their long-term safety. I never expected my post to go viral. It was even censored a bit by Facebook, with the ability to share it being blocked at certain times and my notifications being disabled. Remarkably, I received many messages of people saying they were newly questioning vaccines and the idea of mandating them. That feels like a victory. Sadly, I had the most messages and support from people with the same story, but they seemed to feel emboldened by it and that makes me glad. With being vulnerable and sharing this, I knew I would receive some unkind comments. 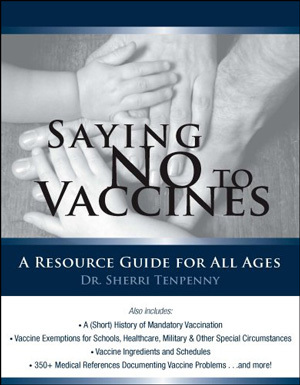 There were less than I would have expected, but the theme of their arguments tended to look like this: “Wouldn’t you rather have a child with autism, than a child who died from a vaccine-preventable illness?”, as if those were the simple choices before me. These comments painted the picture of a mom choosing for her child between an awesome life with autism, or death by measles. There is ignorance in this logic on many levels. It greatly underestimates the level of suffering my daughter endures because of her autism. It underestimates the real risk level of her getting injured or dying. Rosie is prone to elope and has a great lack of awareness of the world around her. I was not entering into the arguments around complications and severity of vaccine-preventable illnesses. Here I am just arguing that the risks of vaccinations are real. The lives of vaccine-injured children matter, too. Joni: Rosie seemed to be a very typical and content baby. She met all her major milestones on time. Around six months of age she began to get colds and develop ear infections over and over again. Finally, after a stint of three antibiotics in a row around her first birthday, we were referred for ear tubes. We were told to expect a “new baby” after she had tubes put in, but I remember thinking she was still a little cranky. She could say “hi” and “dada” at this point. She would wave occasionally and interact with us and her older sister, Maggie, at a level that seemed appropriate, at the time. Somewhere, subtly between twelve and eighteen months, Rosie began to change. I remember calling her “my wanderer.” I joked that I was going to need a leash for her because she was always exploring, unaware of how far she was from me. Her first birthday was in May of last year, and sometime in the fall, we started noticing that she liked to play independently. For a mom of two, I considered this to be a blessing and was impressed with how contently she played. One day I realized it was difficult to get her attention. We would call her name and often times not get a response. On vacation in Florida with my parents last October, my mom jokingly asked if she was deaf. I was sure Rosie could hear us, but I understood what she meant. Why was she so tuned out to the world? On this same trip, Rosie somehow picked up a lethal bacterial infection called Epiglottitis, which appears as croup, but closes the throat and can potentially cause suffocation. After powerful doses of steroids and antibiotics, we were able to leave after a long stay in the hospital. One month later, at the end of November, it was time for Rosie’s 18-month checkup. I was concerned about her aloofness and lack of eye contact and I said so at this appointment. I was noticing some odd behaviors: toe-walking, spinning, and odd body posture when she walked. I didn’t articulate these concerns very well. What would these things mean, anyway? I explained to a certain extent what I was seeing, but I also said I thought she might be improving. We could get her to look at us if we were very intentional about it. She wasn’t saying words anymore, but I wasn’t as concerned because her older sister didn’t speak clearly until she was well over two years old. My doctor listened to me and made me feel better. He said that second children usually develop later and that we should “wait and see” for three months. If I didn’t see development by the end of February I was supposed to give him a call. Before we left, Rosie got a flu shot. The following week, Rosie regressed and completely shut down. I started to look at all her behaviors collectively and truly felt like the Lord was telling me, “Something’s wrong. You have to do something.” I started searching the Internet, looking for clues about each symptom I was seeing. 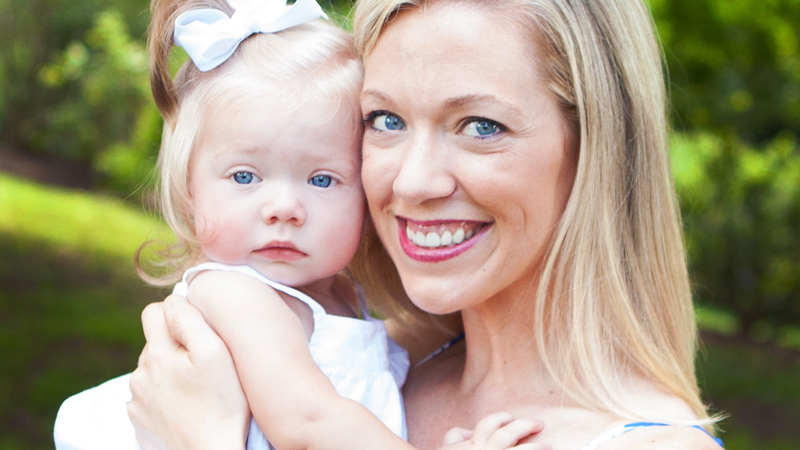 Occasionally I stumbled upon the word “autism” – I thought, “There’s no way she’s autistic. Rosie’s so cuddly and sweet. She loves affection. She once was a totally typical kid!” Ironically, or providentially, I once worked with autistic children in the elementary school setting. Based on that experience I still wasn’t thinking autism was a possibility, but I read further into it. I saw that autism is a spectrum disorder that appears very differently among children. Some children seem to be born with it and some regress into autism later. What I really needed to know was what autism looked like in toddlers. I researched this and received a shock. I found list after list of early “red flags” for autism. Rosie had almost all of the red flags. I saw on many lists: lack of joint attention, sensory seeking, no words, regression of skills, odd body posture, no gestures, repetitive play, aloofness, etc. The articles I read were like the author knew my Rosie and was writing about her. It was so clear. I was stunned and I felt like my eyes had been opened. I called my husband and texted him articles. I couldn’t wait until he came home from work. I called Rosie’s doctor, explaining I didn’t feel comfortable waiting and needed help. I got a referral for speech therapy. This place I was referred to had a waiting list a mile long. We grieved hard. We just knew Rosie was autistic. We shared this information with our family and close friends and asked for their support and prayers. This time of grief then and now is unlike anything I’ve ever experienced. Honestly, it felt like a death in the beginning. I knew we still had our precious Rosie, but the realization of her problems felt like a death to my expectations for her life and for my own life! It is difficult for me to explain having a seemingly healthy, happy child and then to feel like she was being ripped away from me. The Lord placed special people in my life that helped us get the ball rolling. We were told to immediately make an appointment for an evaluation at Cincinnati Children’s Center for Autism because the waiting list could be long. We learned that we needed the official diagnosis to get help from our insurance for therapies. Being told to get her therapy as soon and as often as possible, I called every therapy office in Lexington, where we live, until I got her appointments for speech and occupational therapy. I was blessed to have a mentor in my church, a mom of a child with autism, who explained that autism is treatable! She explained that autistic children often have food sensitivities and allergies, that they are not able to rid their bodies of environmental insults and toxins, and will often respond positively to special diets and nutrient therapy. Many autistic children suffer from poor immune systems that can’t tolerate things like vaccines as well as typical children. I also found in my research that Applied Behavior Analysis (ABA) is the gold standard of autism therapy. 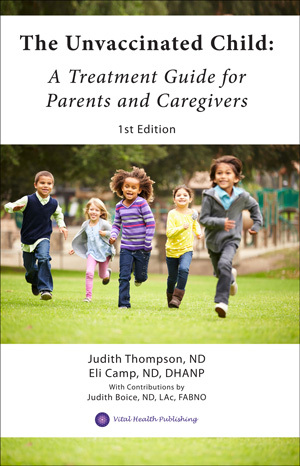 A large percentage of children who receive this therapy at an intensive level at a very young age make large gains and often appear typical in a regular classroom. I read articles about children losing their diagnosis! There was hope! We did get the official diagnosis – autism spectrum disorder. We met with a developmental pediatrician, child psychologist, and speech/language pathologist. Rosie basically had to exhibit a certain number of behaviors to qualify for a diagnosis. There is no test for autism. My husband and I pressed the doctor to tell us where she was on the spectrum. She had explained that the terminology of mild, moderate, and severe autism was out-of-date and no longer labeled a new diagnosis. When pressed for such a label, she called Rosie moderate on the spectrum. Rosie was one of the youngest patients they had ever seen. I became a mom on a mission. My husband and I became super intentional in playing with Rosie. I was always in her face trying to get any kind of glance or response. I had Rosie set up for almost twenty hours of ABA therapy each week in addition to speech and OT therapies. I cleaned up her diet, changing her immediately to gluten-free, casein-free, additive-free, preservative-free, dye-free, and all organic. I started her on supplements for common deficits in children with autism. I made her an appointment with a somewhat holistic naturopathic doctor nearby. I feel thankful to live in a big city where therapies and organic grocery stores are available and convenient. Currently we are in the middle of lab tests that are giving us more information about other issues (co-morbidities) that Rosie has. We are learning that gut health can really affect the brain and her behaviors. Her diet is severely strict these days and thankfully she is taking to it well. In the summer she will have extensive allergy and sensitivity testing to help us fine-tune her diet. I am constantly researching therapies, as autism is a very complex disorder. It is an evolving science and many therapies are relatively new. I don’t think one particular thing or event caused Rosie’s autism. I think she was genetically predisposed with a poor immune system and could not cope with all the insults to her system: viruses, infections, vaccines, chemicals, dyes, preservatives, hormones, etc. I am questioning just about everything in our environment these days. This is not the person I was. I have changed. I have to be her advocate. I’m thankful for the options and treatments, but I feel great pressure to cure her. I think my greatest lesson I’m learning is how God is ultimately in control of her future and that He loves her more than I ever can. I pray for supernatural wisdom and energy everyday. The good news is Rosie is progressing! She seems to be responding to her therapy. Her eye contact and engagement with the family is increasing all the time. She is attempting to say words again and is sometimes showing skills that she once had almost a year ago. There are good days when I think, “She’s going to kick this!” and there are days with tantrums and regression that can be discouraging. This autism thing is a tough pill to swallow. I accept it, but I’m fighting it. I never want to look back and wish I had done more. I want to look Rosie full in the face and tell her I did everything I could give her the best future possible. She is worth it! We are grateful for Joni’s willingness to share her experience and Rosie’s story with all of us. We appreciate her thoughtful, well-researched, and articulate voice, her perseverance for digging deeper in her quest for answers and solutions, and her advocacy and commitment to her Rosie’s recovery and wellbeing. Joni is among the growing population of parents who have navigated the unfortunate and devastating path of vaccine injury, including autism. Those who observe their child’s health decline and continue to worsen after vaccines raises the red flag and shakes one to their core. Paying attention to the warning signs before it’s too late, critical thinking and investigating, and taking action to remedy the vaccine injury situation takes courage, humility, and perseverance. 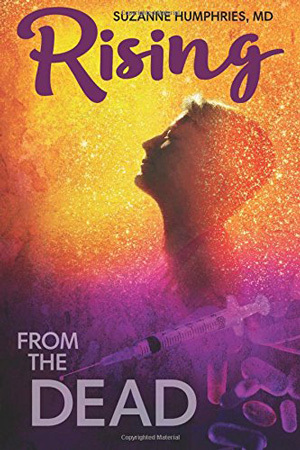 Through this dedication to their children, unconditional love, and the deep desire for their children to thrive again, they hold on to the hope that someday their child they once knew prior to vaccines will fully return through their recovery.